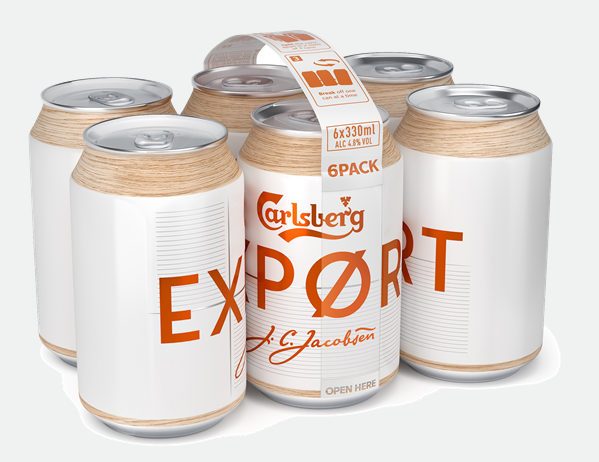 07 Sep 2018 --- This week, in its home of Copenhagen, the Carlsberg Group unveiled the new Snap Pack: an innovation that replaces the traditional, bulky plastic rings that accompany multi-packs of beer with a pioneering solution that instead bonds beer cans together with recyclable glue. The technology is set to reduce plastic waste globally by more than 1200 tons a year – the equivalent to 60 million plastic bags, according to the Danish brewery. The Snap Pack is a world first for the beer industry, reducing the amount of plastic used in traditional multi-packs by up to 76 percent. The Snap Pack holds Carlsberg Expørt cans together with small pieces of a specially developed glue in small dots, which are easily snapped apart when required, but robust enough to stand up to handling to and from the store. “It needs to be strong and robust so it can withstand transportation from the brewery to the supermarkets and the consumer's homes. But it also needs to be easy to separate for the consumer. There were 4,000 versions of this glue before we found a good solution: a mix between strength and easy-to-open. This was the biggest R&D challenge: to find the sweet spot,” Elbjorn adds. Using minimal plastic and limiting waste, as well as reducing CO2 emissions and the reliance on fossil fuels, the Snap Pack aims to reduce the Carlsberg Group’s global plastic usage by more than 1,200 tons – from brewery to store – annually once the roll out onto all four, six and eight packs across all Carlsberg variants globally. The technology cannot be used on larger packs – such as the 24 packs – Elbjorn tells PackagingInsights, but the company are looking into alternative solutions. "We always strive to improve and today’s launch clearly shows our ambition to follow in our founder’s footsteps towards a better tomorrow. Carlsberg's Snap Pack will significantly reduce the amount of plastic waste, and we look forward to giving our consumers better beer experiences with less environmental impact,” says Cees ‘t Hart, CEO of Carlsberg Group. A switch to Cradle-to-Cradle Certified silver inks on its bottle labels to improve recyclability. A new coating on refillable glass bottles to extend their lifespan and therefore reduce their environmental footprint. New caps which remove oxygen to make the beer taste fresher for longer. in the UK, from September. Elbjorn tells PackagingInsights that removing the plastic handle from the packs was not an option for the brewery, despite its wishes to do so. Consumer feedback was strong: there needs to be a handle. Carlsberg will now also work toward creating a more sustainable option, as the current handle is made from virgin plastic. “We’re incredibly proud to launch the new Snap Pack; we’ve been working on this innovation for the last three years as we continue to search out ways to be better as a business. Our challenge is to continue to provide great tasting beer, whilst significantly reducing the use of plastics in our supply chain. We know this is an on-going issue, not just in the UK but globally, and while we will always be looking for new ways to reduce Carlsberg UK’s future impact on the environment, the introduction of the Carlsberg Expørt Snap Pack marks a significant plastic reduction today,” says Liam Newton, Vice President Marketing, Carlsberg UK. The Snap Pack, initially launching in the UK on 6 x 330ml Carlsberg Expørt cans, will be available from 10th September exclusively to Tesco in over 500 stores nationwide. Carlsberg Group’s research and development teams have worked closely with external partners to innovate in ways that will make a difference to both consumers and the climate. made entirely from Snap Pack cans. 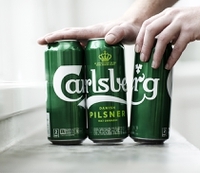 To accelerate the implementation of its sustainability ambitions, Carlsberg also announced a strategic partnership with Plastic Change, a Danish environmental organization, in addition to its long-standing dialogue with the WWF on sustainable issues and their impact on both the environment and the world’s natural resources. ”Our wildlife is drowning in plastic – and the problem is, unfortunately, growing considerably. We, therefore, need to act now. We need less plastic to end up in nature. That is why we consider it huge progress that Carlsberg is now launching solutions that significantly reduce the amount of plastic in its packaging. With these new solutions, Carlsberg has taken the first big steps on the journey towards a more clean and green future,” says Bo Øksnebjerg, Secretary General in WWF Denmark. 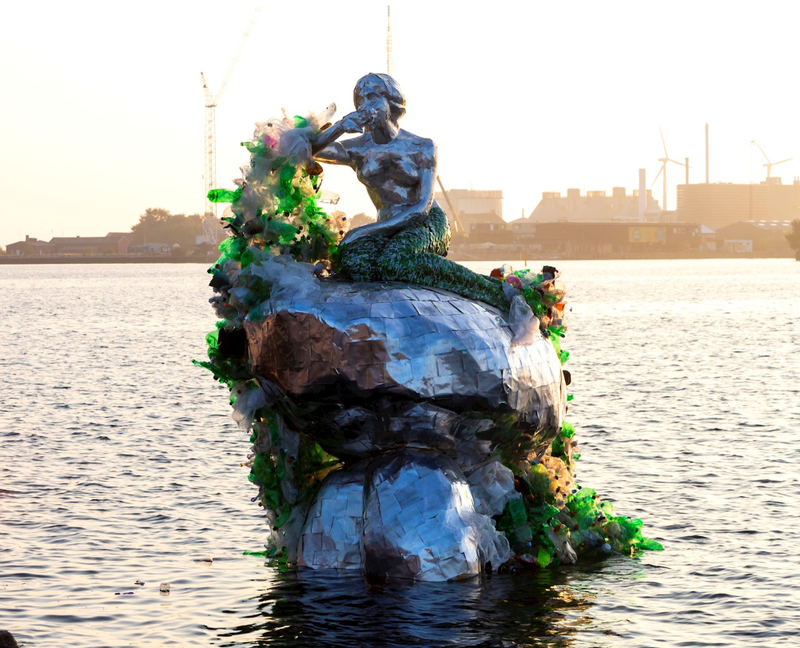 To celebrate the launch of the Snap Pack, Carlsberg unveiled its own unique version of Copenhagen’s Little Mermaid statue made entirely from its new Snap Pack cans. Held together with glue just like the Snap Pack cans, the mermaid ‘canstruction’ embodies Carlsberg’s intent to make beer that is not only great tasting but is also better for the marine environment.